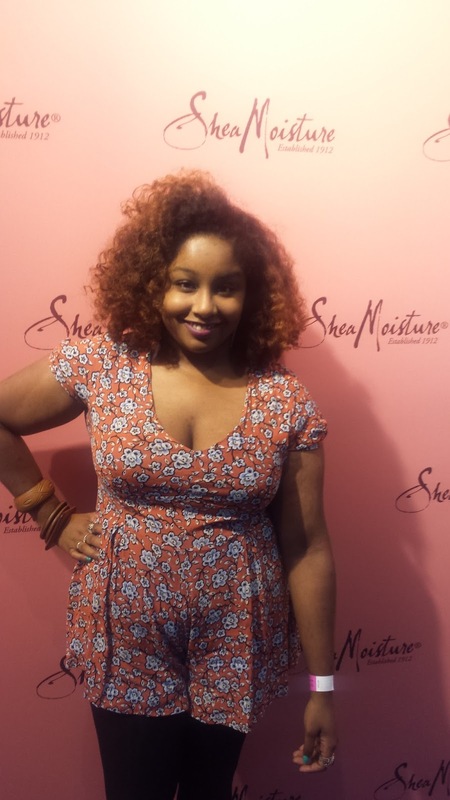 I have been using SheaMoisture since 2010!! It was one of the first natural hair brands I discovered and fell in love with. The packaging is clean, the brand is simple and the products work!!! 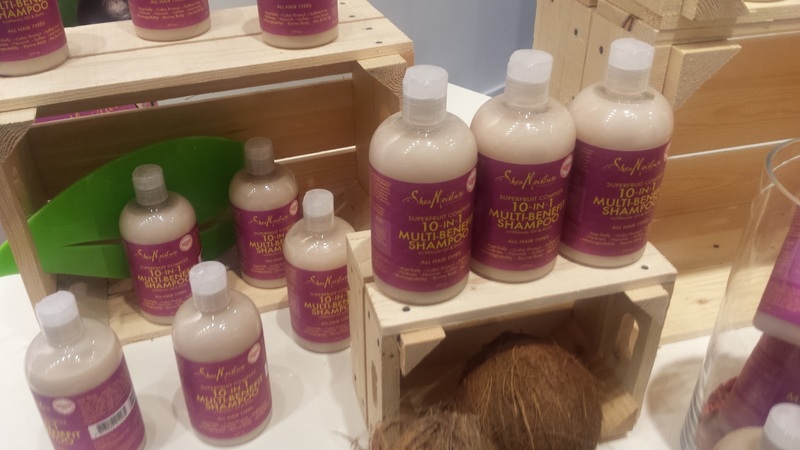 One thing I love about the SheaMoisture brand is the fact that they work with women in Ghana who source the sheabutter and that they are community based. 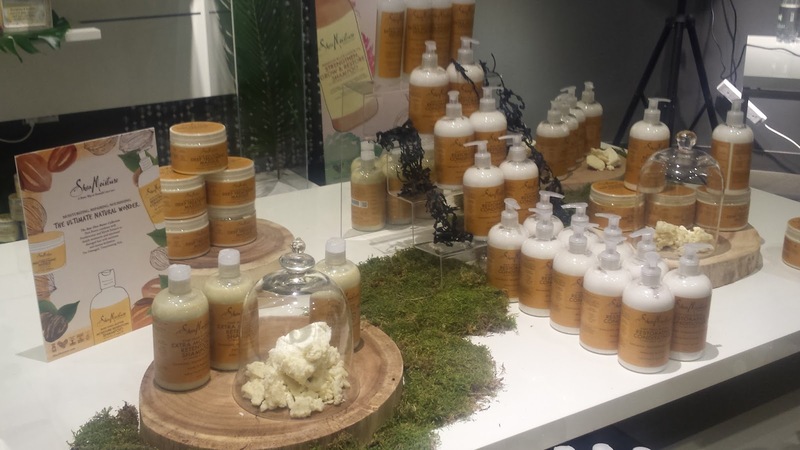 SheaMoisture sponsored the first three stops of the I Define Me Tour, for which I am grateful and look forward to working with them in the near future!! 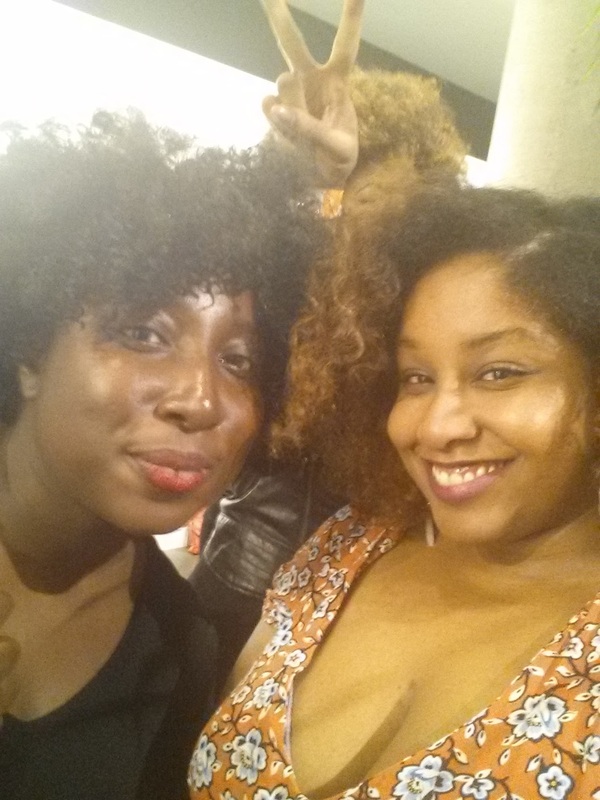 Its very hard being a blogger, having products constantly thrown about you, just because natural hair is hot topic right now and not actually care about you!! 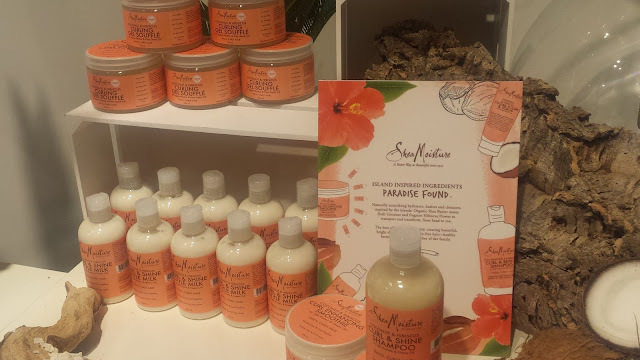 I'm not going to lie, I was a bit skeptical about SheaMoisture launching in Boots because of the black retail ownership economic politics and I do still have some quarms about it, but I am happy that SheaMoisture have identified a demand and are ready to supply. 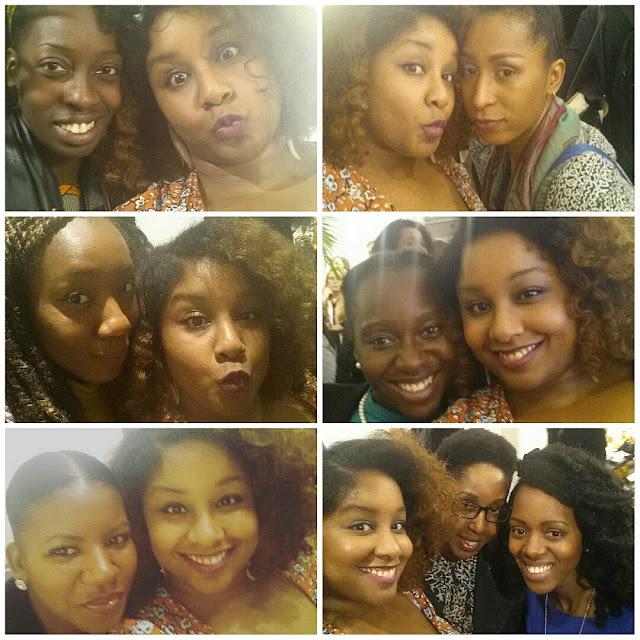 As well as meeting the SheaMoisture team and networking...you know I am forever trying to do business!! Hehe!! Got my serious business face on!! I met so many of my supporters. You lot so me sooooooo much love, its really really amazing and means the world to me!! I feel so special and know I am doing something that inspires people everyday, that's all I want!! 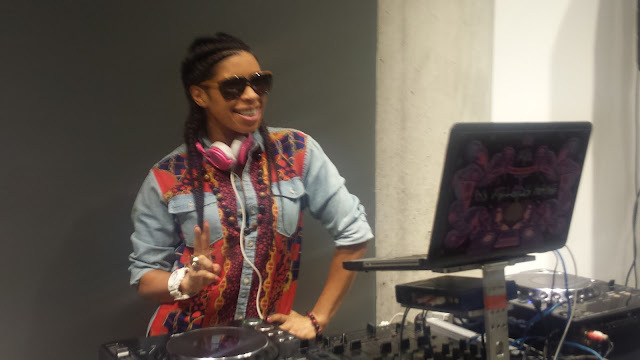 DJ Melody Kane...killing it as usual..love this woman!! The launch event slowly turned into a shoobs and everyone was getting down with the get down. I did a little bubble and a 2 step..because I had to save my energy for the night out ahead..hehe!! 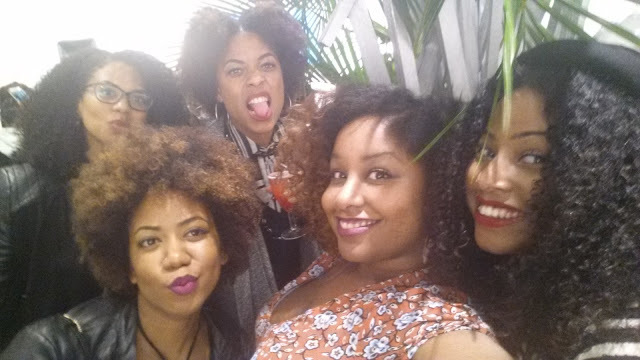 One thing I loved about the atmosphere, was the connection of women because of our hair..I always feel this way at hair events, but it is always beautiful to see a room full of black women, having a good time. 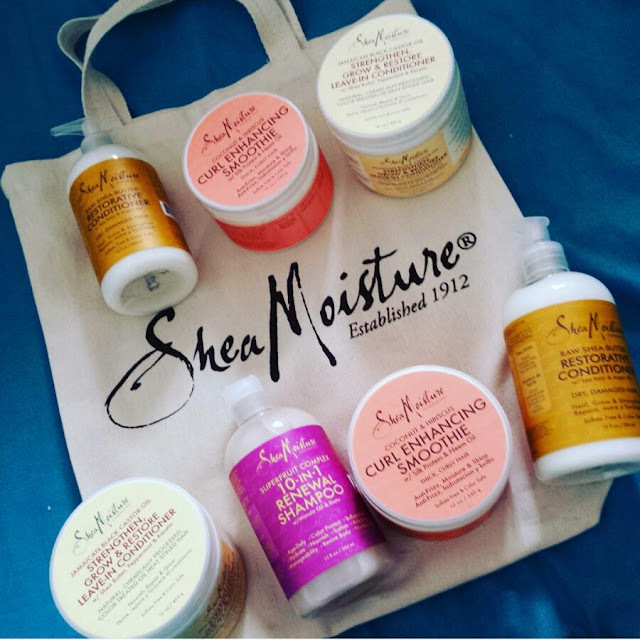 Thankya for the goodies SheaMoisture!! 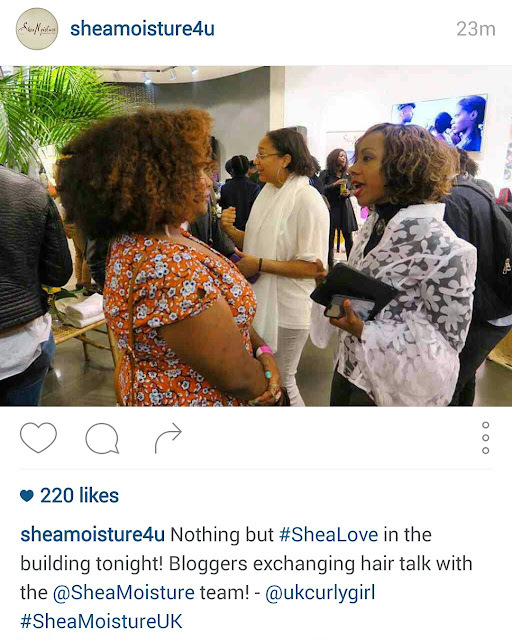 I hope SheaMoisture sticks to is word about working within the UK natural hair community and supporting the movement. 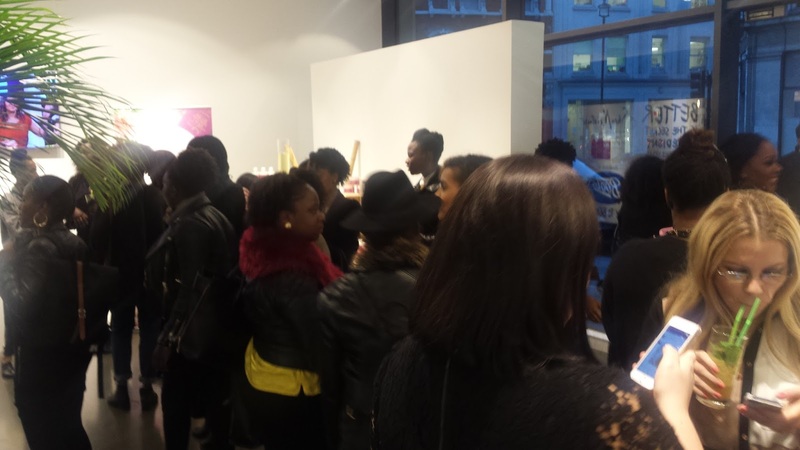 There are many brands that come over to the UK, do events, give you a gift bag, a few drinks and canapes and then you never hear from them again until they want your coins...lets hope this isn't the same thing.